This topic contains 2 replies, has 2 voices, and was last updated by alex 5 months ago. Trialed 7 different social plugins, all ranking best on WP, none offer a ‘Bp profile share’ floating widget. Plugins can share just about everything else, but the actual BP profile. What do you suggest to place social buttons on profiles? Perhaps a new tab with icons designated as a shortcode… or maybe customising a plugin with code in some way? You could place the social network icons in the empty space around the user name, like shown on the attached screenshot. 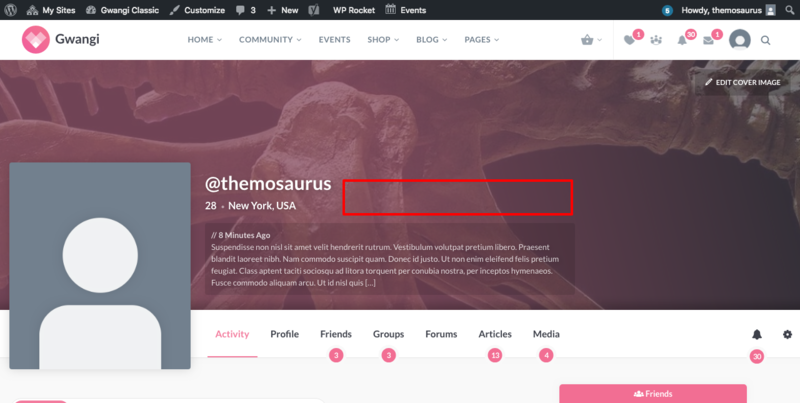 It will be probably easier to override the BP user profile header and doing so, the social icons will always be shown, whatever the profile tab selected. 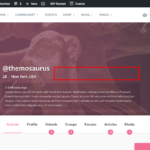 Unfortunately, this feature is not available with BuddyPress and to our knowledge, there is no plugin that you could install to add this feature to your website. To go further, you will require custom development work. Ok thanks for your direction. It’s helpful to know that we’re on the same page and no solution exists, yet. Hopefully someone makes a suitable plugin.